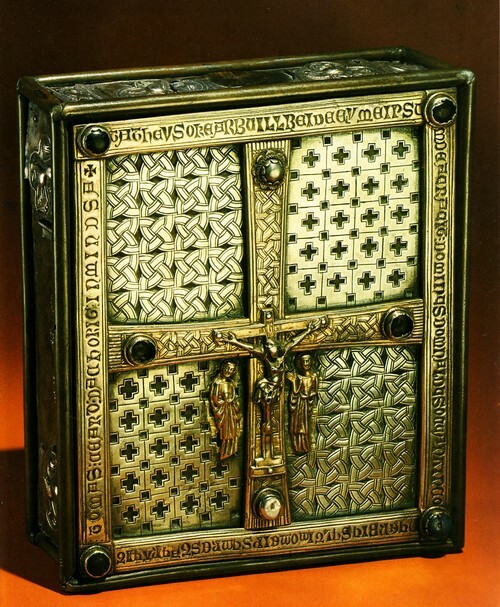 For the Irish so loved the Book… They built shrines in which to house them. 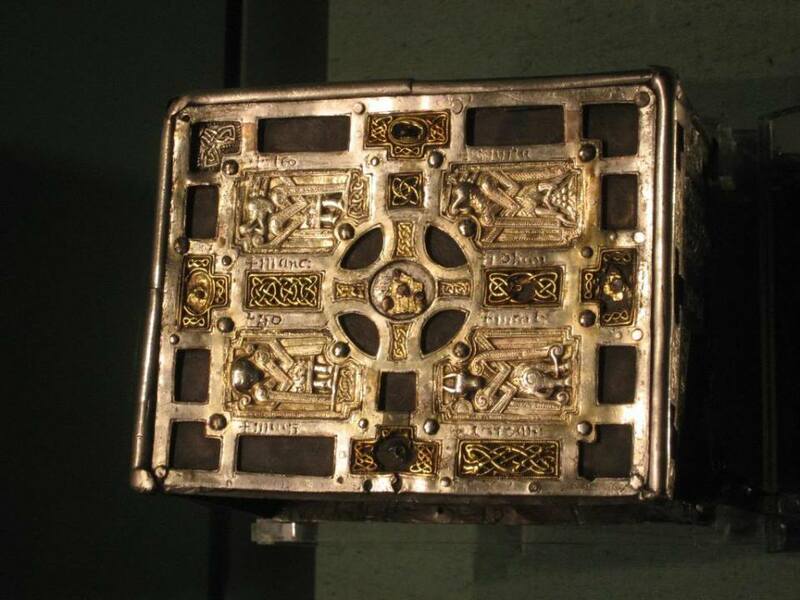 On this St. Patrick’s Day, I’m reminded of the monks who illuminated the Book of Kells and other precious manuscripts. Beyond their talents as artists, scribes and custodians, their dedication to preserving vital texts sometimes extended to the creation of ‘cumdachs’. And they are stunning. 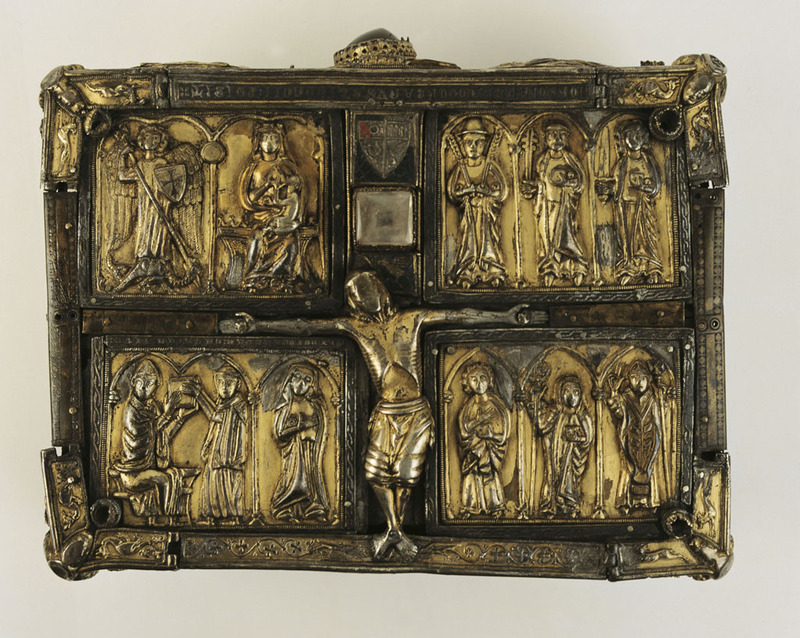 A cumdach or book shrine is an elaborate ornamented box or case used as a reliquary to enshrine books regarded as relics of the saints who had used them in Early Medieval Ireland. 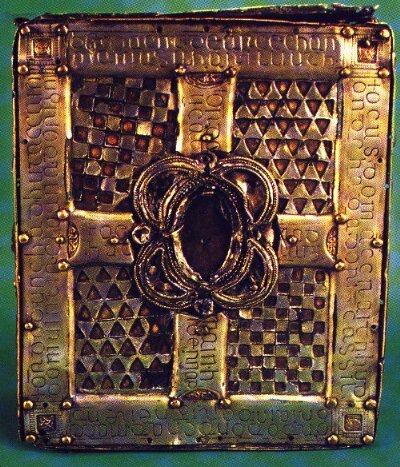 They are normally dated later than the book they contain, often by several centuries. (from Wikipedia). Today is an ideal time to take a moment and appreciate the beauty of some of these unique and exquisite contributions from the Irish that will speak to every book lover’s heart. 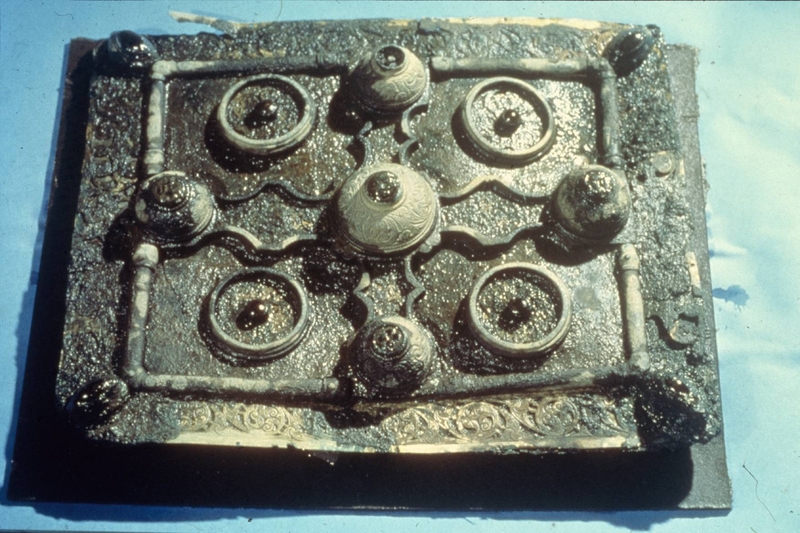 Shrine for a book | Found in the bed of Lough Kinale in 1986. The shrine known as the Domhnach Airgid (“silver church”) was originally 8th century, but little is visible from before a major reworking around 1350 by the abbot of Clones. 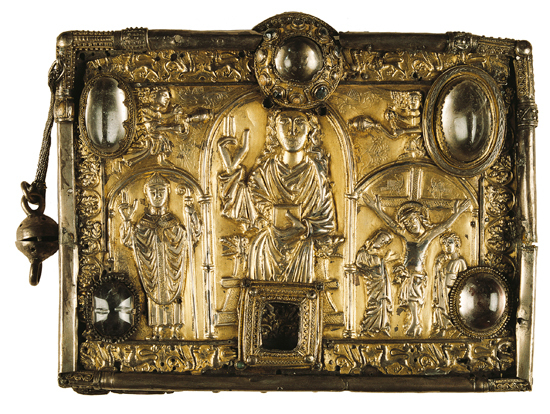 The Stowe Missal | the metalwork is elaborately decorated, with some animal and human figures, and one face and the sides probably dates to between 1027 and 1033. 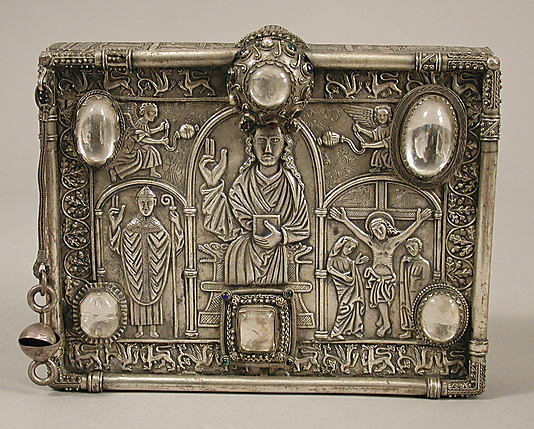 This entry was posted in A Very Important Date, Art of Reading and tagged ancient, battler, book, cumdach, history, holy, icon, Ireland, Irish, manuscript, medieval, monks, psalter, religious, reliquary, shrine, St Patrick's Day. Bookmark the permalink.